Don't Buy a Long Charging Cable For Your Couch. Buy This Instead. Buy a long charging cable, they said. You can use it on the couch, they said. It’s basically self care, they said. This particular piece of internet wisdom has been passed down from generation to generation (including by me, it must be said), and it’s good advice in spirit, but friends, there’s a better way. Multi-port chargers like this one plug into the wall via an extension cord, giving you a lot of flexibility in where you place it. 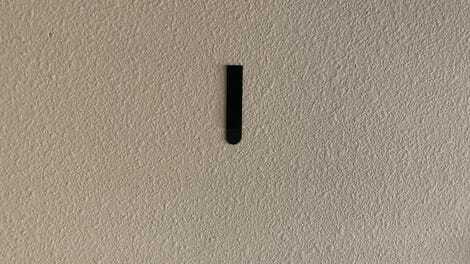 I run my power cable along the wall, up over the top of the couch, and down behind the cushions where I can easily access it. The cord is barely visible this way, but depending on your sofa, you may even be able to route it through the bottom of your furniture instead. 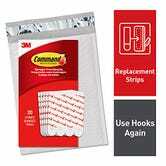 If your sofa’s against the wall, you could even mount the charger to the wall behind the couch with 3M adhesive strips. Whichever option you choose, you can tuck your cables into the cushions when they aren’t in use. Compare that to a 10' charging cable (or god forbid, multiple 10' charging cables) plugged into the wall, and draped over the arm of your couch. Hideous! And when it inevitably slides off, and you have to go digging around the floor to find it? The worst! By using a charging hub, the cables can never slide off the couch, because they’re literally plugged into a charging hub that lives on or behind your couch. So you’re an iPhone owner who lives alone, never entertains, and doesn’t use any devices other than a phone. 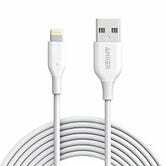 Great, a 10' Lightning cable is probably the only couch charging solution you need! But what if your partner or roommate wants to charge their phone too? What if they use Android? What if you have friends coming over? What if you own a laptop that charges over USB-C? A charging hub (particularly one with USB-C Power Delivery) lets you add, remove, and swap charging cables at will, so that everyone, and everything, stays fully charged. There’s no need to buy a specific, unwieldy 10' cable here; just use the ones you already own. Your four year old Apple Lightning cable? Your spare Apple Watch charger? Any of the 7,000 microUSB cables you’ve collected over the years? They’re all long enough to be your couch cable when they plug in inside your couch. 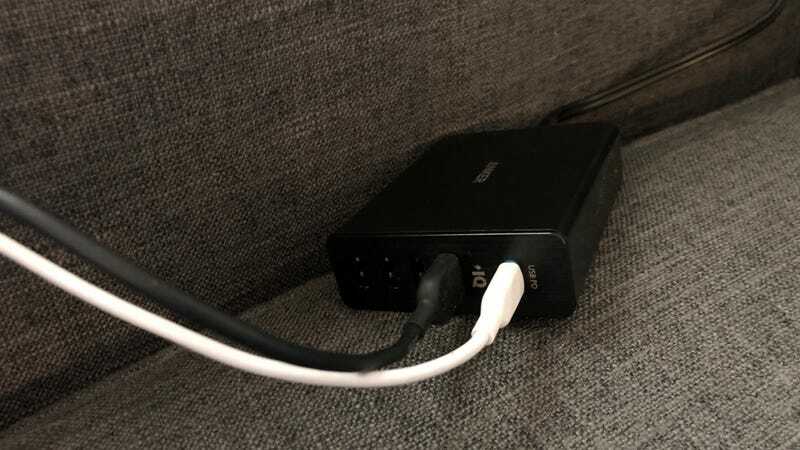 Sure, there’s is a case to be made here for extra durable cables like Anker’s PowerLine IIs, since you’ll be tugging at them to free them from your cushions, but a spare cable wearing out isn’t the end of the world.